Very positive and informative. I was provided a complete medical description of my situation with just the right amountof technical detail and good advice. The doctor is sincerely interested in helping his patients and not just drum up business. Very positive and informative. I was provided a complete medical description of my situation with just the right amount of technical detail and good advice. The doctor is sincerelyinterested in helping his patients and not just drum up business. The young guy who helped me at the start of my appointment did not introduce himself. He just called my nameand asked to follow him, so i was not sure if he was the doctor or the assiatant. He looked really sloppy and looked pretty messy and unprofessional. He was nice but and was in a rush when helping me. The lady at the end of my appointment talks solo much! I wanted to leave and she was saying how Costco lies to their customers on eye glass wear. The young guy who helped me at the start of my appointment did not introduce himself. He just called my name and asked to follow him, so i was not sureif he was the doctor or the assiatant. He looked really sloppy and looked pretty messy and unprofessional. He was nice but and was in a rush when helping me. The lady at the end of my appointment talks solo much! I wanted to leave and she was saying how Costco lies to their customers on eye glass wear. Dr. William P. Blase is the Medical Director of California Eye Professionals Medical Group, Inc., with three offices in Riverside County, California. For more than 25 years, Dr. 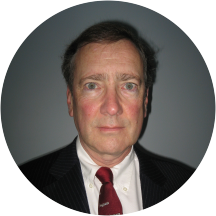 Blase has been a dedicated physician and surgeon, specializing in general ophthamology. I saw Dr. Kevin Lane and he was great! Will definitely go back to him. Knew right away what the issue was that I had been struggling with for months. Very happy. All of the staff was great! Front staff was polite and professional despite being very busy. The doctor took time to go over my concerns and was upbeat and friendly. The man who helped me in the eyeglass section was alsofriendly and helped me decide whether or not I needed non-glare lens ect. Great visit. Dr. Lane was amazing!! He was very friendly and helpful. Tracie, his assistant, was very sweet too. She was helpful and answered my questions. My only issue was with Nancy in the optical department. She was not friendly at all. Shedidn't ask how I was or if I had questions. She was not helpful at all and had a poor attitude. I was very disappointed with this part of my appointment. Overall it was a real good visit. Dr. Lane who saw me was very thorough and professional. I will certainly go back. The technician got me set up pretty quick with measurements and waited less than 5 minutes for Dr. Lisa Wilson. The checkup was quick and very pleasant. The optician, Karen, had some u usual computer problems in putting my selected framesbut she was very professional and nice and eventually got it entered and everything worked out. All in all, it was a very pleasant experience and the whole process of exam and ordering glasses, probably was a lot quicker an previous places I have gone. Definitely recommend! Everyone in the office was very friendly and professional. Very professional. I appreciate that the doctor explained everything he was going to do and showed me the process on a chart that showed the inner workings of an eye. I believe it was a great experience and would recommend them to friends. Good Dr. I highly reccomend. I never thought that I could enjoy a visit to the eye doctor, but my visit to Dr. Blase's office surprised me in the best way possible. My vision had been blurry and my eye twitching in a way that mademe incredibly worried about having permanent damage. Dr. Blase saw me very quickly, his staff was friendly and kind, and Dr. Blase allayed my obvious fear and concern right away. He gave me eye drops that helped tremendously, his office called to follow up, and I truly felt taken care of. Even better--the vitamin supplements that Dr. Blase recommended are fantastic and my eye problems have completely disappeared. I have found my eye doctor and have no need to ever see anyone else.